Great for use in metallurgical and plating applications. 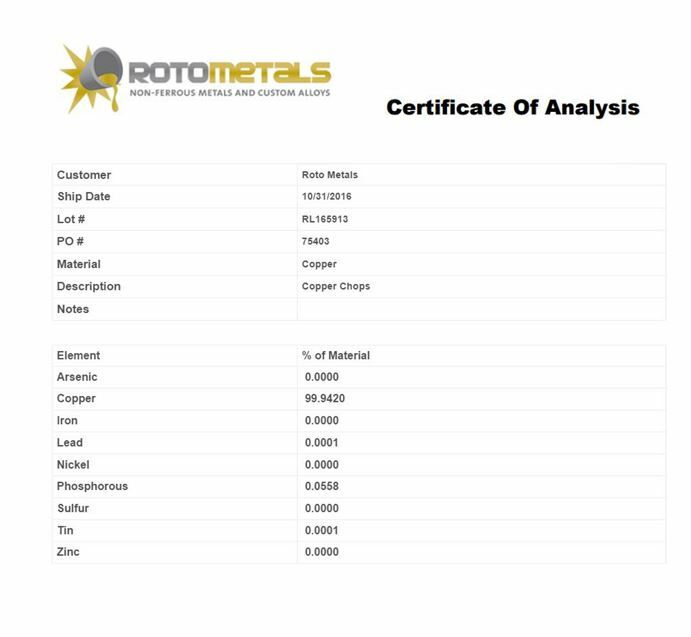 They are easy to weigh out for your alloying or melting needs. These were nice, shiny, clean copper pieces! Will be using them for my orgones! I have yet to work with the copper but the packaging had come open inside the envelope. Good thing I opened very carefully or I would have lost the pieces. Ordered 10 pounds of copper for backyard casting, came in two 5 pound bags and not a gram under weight. Very quick processing, it was in the mail in no time.